Pleasure to meet you here! I’m Gosia – as my name reveals, I was born in Poland. I have lived in Belgium for most of my life, until I recently made an exciting decision with my husband to move to bustling Bangkok! 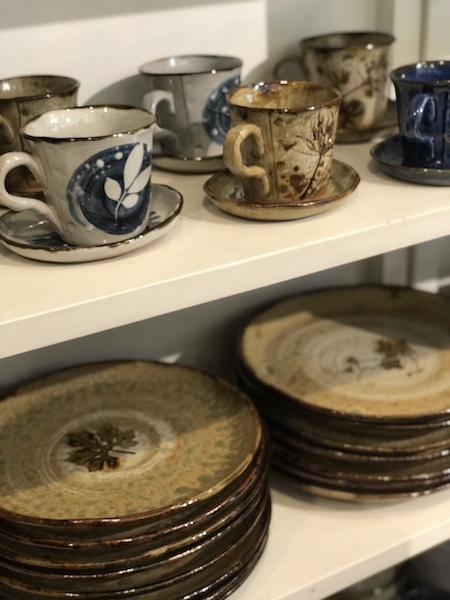 As a lover of all things handmade, I have started discovering local brands and meeting the passionate designers behind them. Join me on my journey by reading their stories and finding unique treasures that are made with love! Mommies-to-be, here you’ll discover the pretty pieces of BChic Mom and Mamy Ann! 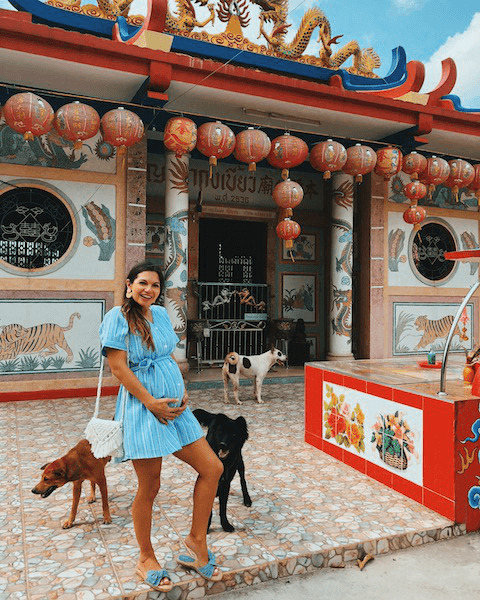 Excited to share some beautiful boho dress brands from Thailand – that ship internationally – so you can get that eternal summer vibe going wherever you are! Looking for an evening dress that’s out of the ordinary? Seeking a denim piece with an extra touch? Or an accessory that’s both glamorous and streetwise? Then NARA is your go-to brand! 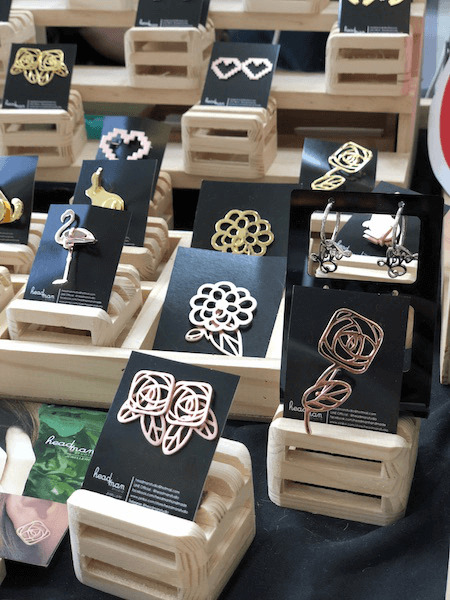 Trinket is a new Bangkok based jewelry brand with roots in India. Check out their beautiful collection or customize your own unique piece! 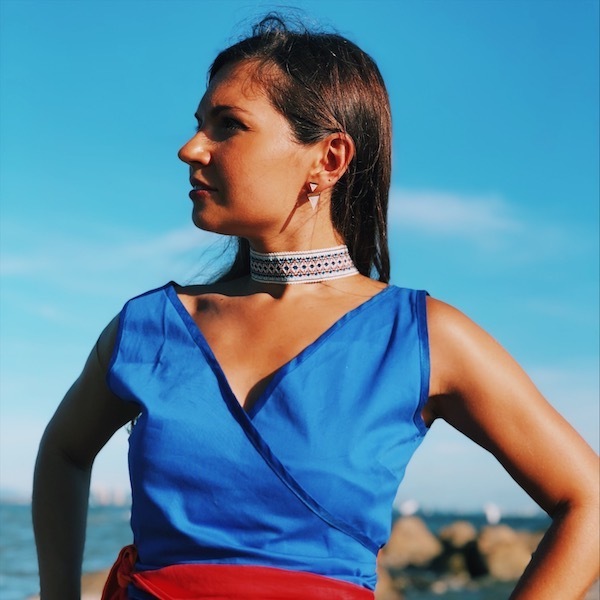 Eco fashion is a topic close to my heart – happy to introduce you to Taktai, making clothing and accessories entirely out of bamboo! Meet Nympheart – this Thai brand crafts handmade unique pieces of jewelry, entirely made of wood. 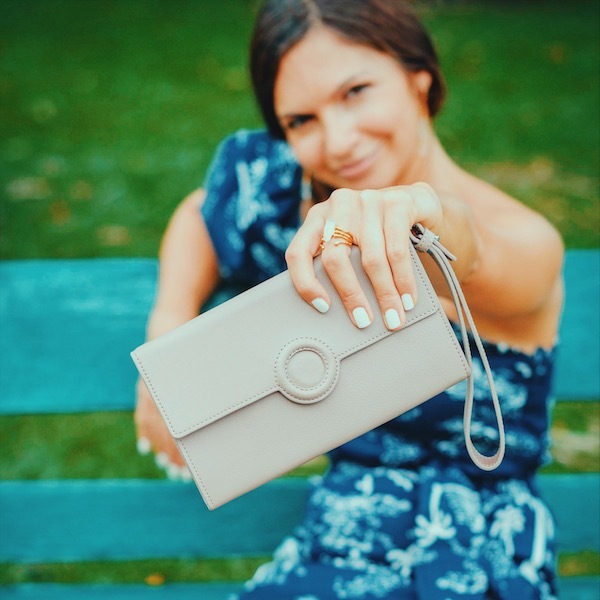 Pretty meets practical: my new favorite Minore bag! 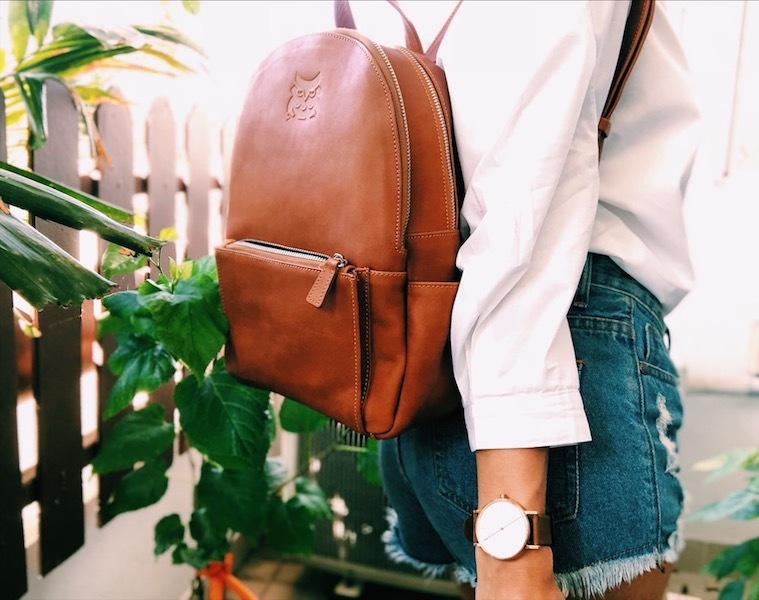 If you’re looking for a bag that’s pretty ànd practical, coming from the hand of an artisan with years of love and experience in leather-craft, Minore is your go-to brand! Your life is fast-paced and fun – and your clothes must be able to match your lifestyle! Then Thai shoe brand Devant is something for you. 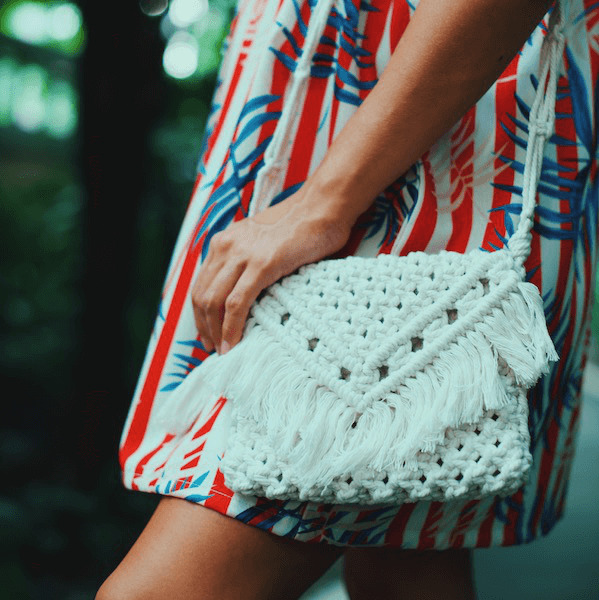 Lamaicraft is a small brand making beautiful handmade macramé accessories in Thailand. Have a look at their gorgeous pieces here! 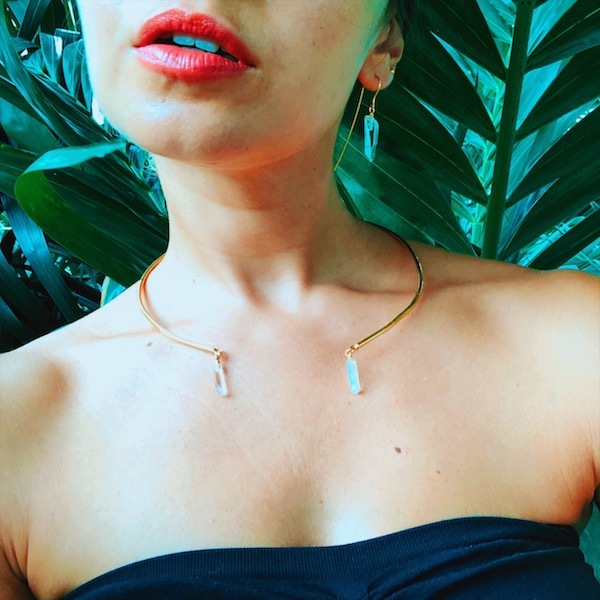 Happy to kick off 2019 by sharing my latest discovery with you: the nature-inspired jewelry of Headman Studio! Read their story and order your own unique piece here..
Chiang Mai is Thailand’s crafts capital. 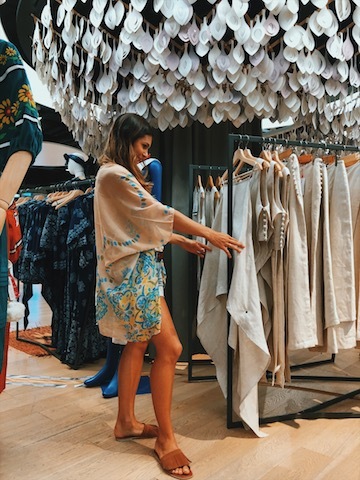 Happy to share with you the best shopping spots for your next trip there! 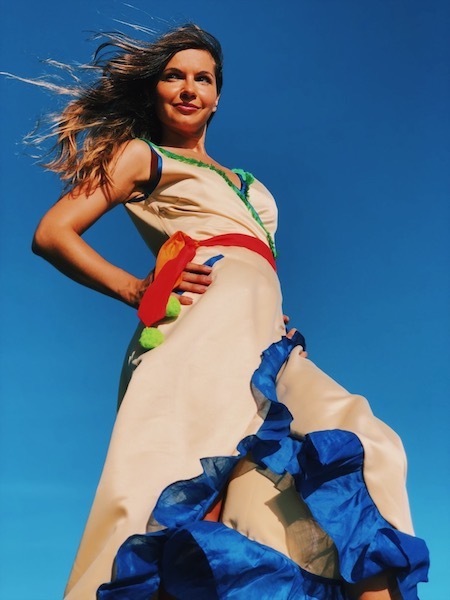 Fashion has no borders – meet Clémentine from France and her unique collection of accessories made from precious Japanese fabrics! Rock Me is a cool jewelry brand from Bangkok, using raw unpolished gemstones. Find out more about their collections and story here! 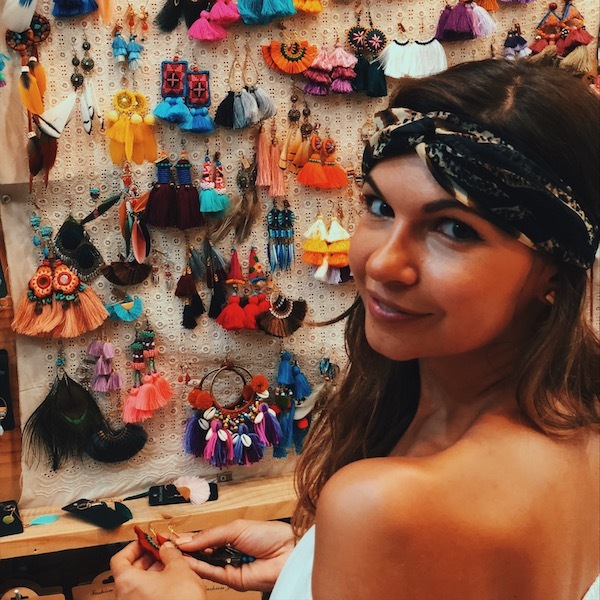 Sharing my tips, tricks and favorite spots with you on Bangkok’s world famous Chatuchak market! 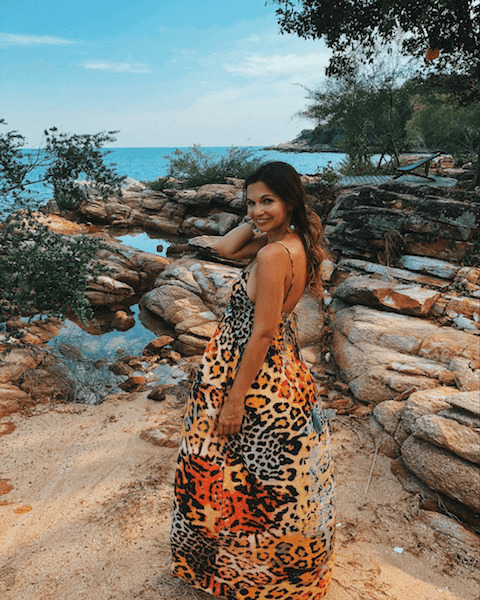 Sharing my thoughts on Bangkok life with you – and the discovery of gemstone jewelry brand Sist! If we’d balter more often, we’d definitely feel happier! It’s not a coincidence that this word has been used as name of Thai shoe brand, Balteri. Find out its inspiring story here! 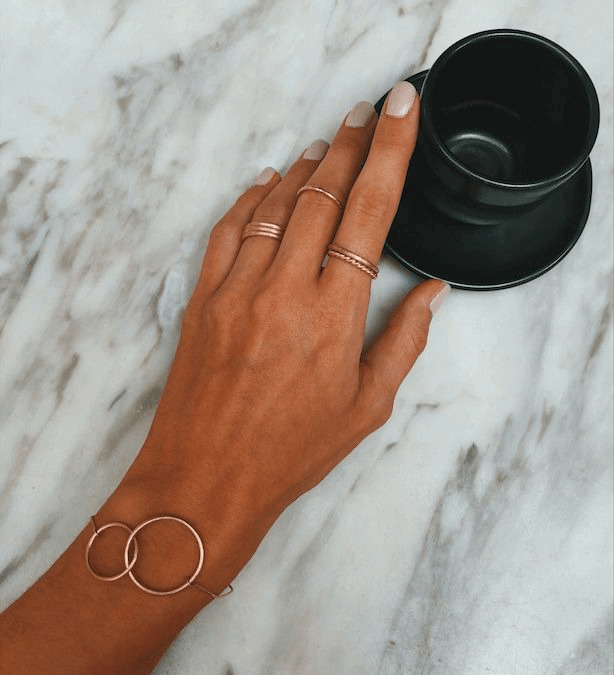 The minimalist silver jewelry of Silvertales is a must-have for every woman. 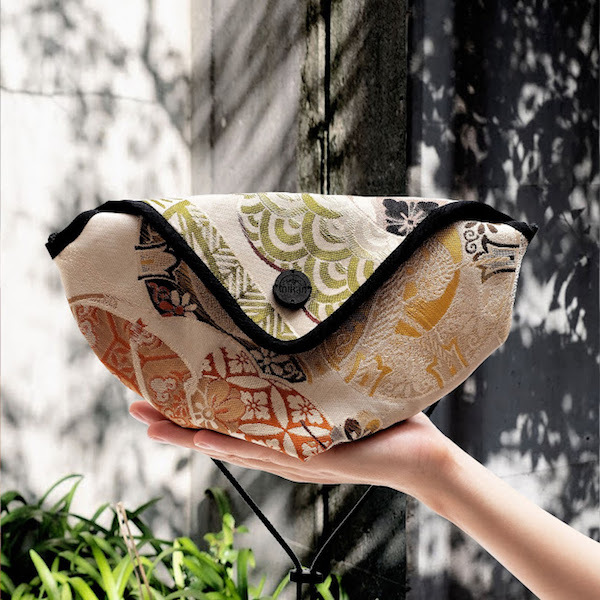 Each piece is handcrafted by Thai Karen hill-tribe artisans. Order your item here (with special discount)! Looking for that perfect dress to kick off the New Year? I have some great options lined up for you! At Paya you can find the most beautiful home deco, gifts and accessories. Let me give you a sneak peak and tell you the story behind this hidden gem in Bangkok! The minimalist leather bag for every occasion: Mo! Wherever you go, your Mo bag will be your perfect companion. 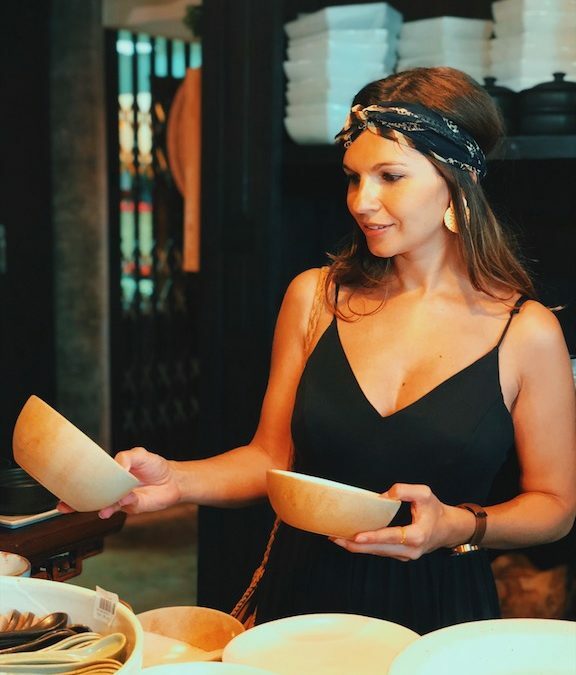 In this blogpost I share with you the best independent shops in Bangkok, the coolest Thai designers and their handmade products! In times of digital gadgets, the women behind Thai brand SIMPL create minimalist and elegant watches – read their story and check out their pieces here! and lifestyle news from Bangkok! 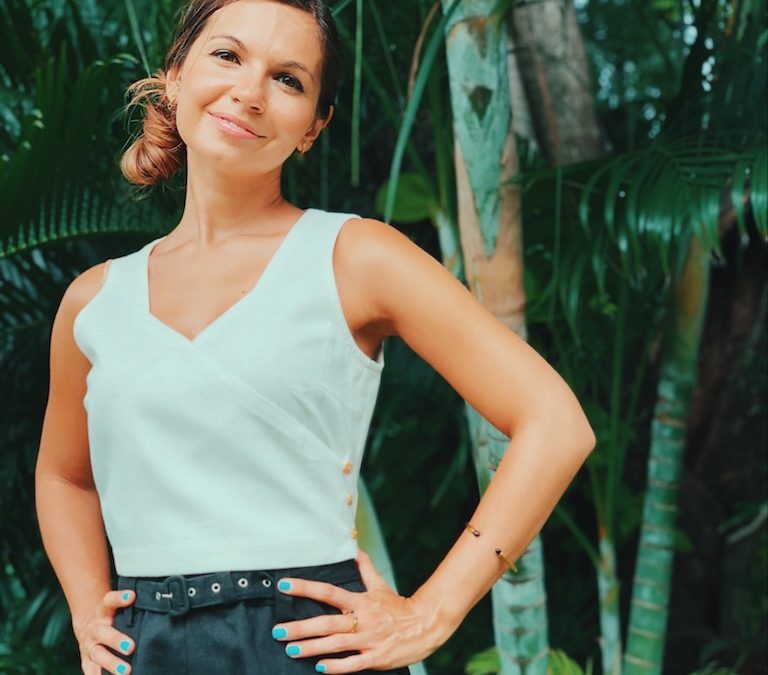 Keep up to date on my latest blog posts, promotions and lifestyle news from Bangkok!